Steel speed loader for the mac-10 .45 ACP. These are made from high quality steel and work great with our .45 ACP steel mags. 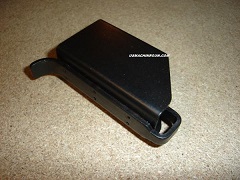 This loader also works for the MPA 10 & 15 series gun magazines. Works for .45 acp Grease Gun magazines. Black Oxide finish.